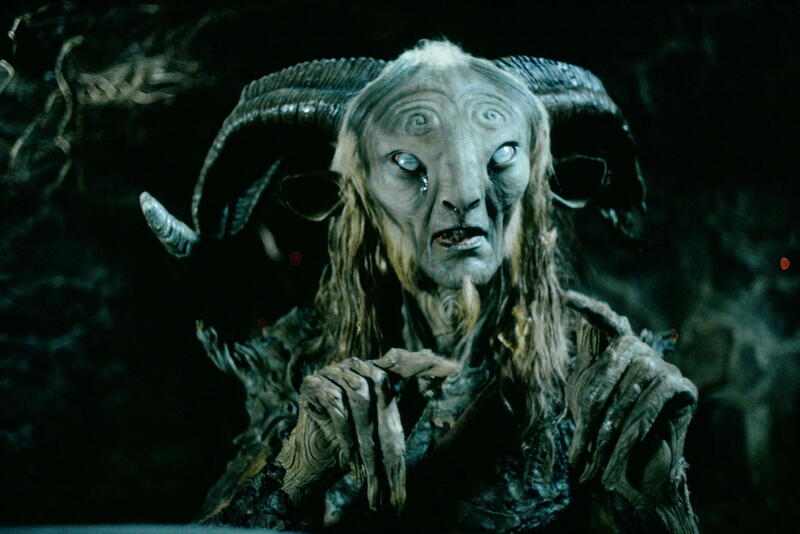 Pan’s Labyrinth is an example of a true fairy tale. Foregoing the conventional happily ever after fairy tales that Disney has popularised, Pan’s Labyrinth takes on a darker tone reminiscent of Grimm’s classic fables. This is a story set in 1944 fascist Spain, five years after the Spanish Civil War, and follows the protagonist, a young girl named Ofelia, as she is thrust into a mystical adventure. It all begins when Ofelia’s pregnant mother decides for them to move in with her militant leader of a stepfather in his military outpost. There, she encounters a strange faun who tells her that she is actually an immortal being from the underworld. In order to be reunited with her kingly father in his netherworld realm, she must prove herself worthy through the trials of the labyrinth. Ofelia’s quest holds an air of whimsicality as she sets out on a Alice in Wonderland-esque adventure, venturing out into woods abound with magical creatures in a frock not unlike Alice’s own. What she stumbles into however, is no benign Cheshire Cat or talking rabbit, but nightmare-inducing abominations no more eager to give her directions than to cause her certain death. The horror of the film lies not only in its grotesque monstrosities, but also in the brutal acts of Ofelia’s stepfather, the ruthless tyrant Captain Vidal. More often than not, the gory, blood-soaked scenes are nauseatingly graphic and about as disturbing as the freakish beasts. In this way, they succeed in painting a crimson picture of suffering under Vidal’s dictatorial rule as well as reflect the vileness of the film’s evil forces. The two defining perspectives of the story, Ofelia’s surreal fantasy world and the harsh realities of the ongoing guerrilla war, are seamlessly woven together to tell a complete story. Both nightmarish worlds are two sides of the same coin and this dual narrative provides a perfect parallel between them. This film is a rare exception; its ambiguities do not frustrate. Rather, they leave room for the viewer’s imagination, right up to its thought-provoking end. Aside from the film’s storytelling, its visual effects are stunning. The computer generated imagery is rendered masterfully, bringing each creature to life so well you would shudder at the thought of their existence. Ivana Baquero’s portrayal of Ofelia is commendable. She manages to show the juvenile innocence of 11 year old Ofelia in her moments of wide-eyed wonder while displaying stubborn strength and bravery in her sacrifices. These highlights, coupled with the film’s haunting soundtrack, deliver evocative scenes that complement the poignant tale. Pan’s Labyrinth is an unusual work of art. It defies the common connotation of a fairy tale in favour of tracing back to its original roots. It is a blend of genres that somehow balance out to create something else entirely. It is one of cinema’s finer fantasies, a fairy tale that connects both dark understanding of cruelty and lost innocence with the beauty of young imagination.